I am excited to work with their wide range of global clients who have described their experiences as transformative. 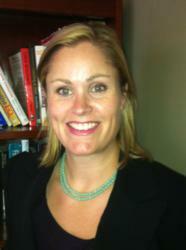 CDR Assessment Group, Inc is pleased to announce Dawn Edwards as Director of Marketing and PR. Edwards has over 15 years of experience and began her career with some of the most recognized companies in media, such as Deutch Inc. and Condé Nast Publications in New York City. After being groomed by industry leaders, she made her way to New Orleans, LA providing marketing services to notable non-profits in the area. Most recently she served as Executive Director for Girls on the Run of New Orleans, a youth development program that combines healthy life skills, self-empowerment and exercise for girls ages 8-13 years. Edwards procured sponsorship with Coca-Cola Company helping to fund the bi-annual 5K as well as other programs in underserved communities. As Marketing Director for French Quarter Festivals, Inc., she helped organize the largest free festival in the South with 18 stages of music, local food and over 500,000 attendees. Edwards has implemented successful marketing plans and developed strong relationships with local and international media throughout her career. Some of Edwards achievements include media placement with Good Morning America, Ellen Degeneres Show, Southern Living, and The Today Show on NBC. Edwards has a Bachelor of Arts in English from the University of Oklahoma. CDR Assessment Group, Inc. provides break-through assessments and accelerates performance results with their coaching and consulting approach with global clients in all sectors. CDR Executive Coaches, trainers, consultants, instructional designers, and scientific research team are among the best in the world. CDR is a nationally certified women owned business (WBENC and SBA WOSB) and is certified as a federally recognized HubZone entity.